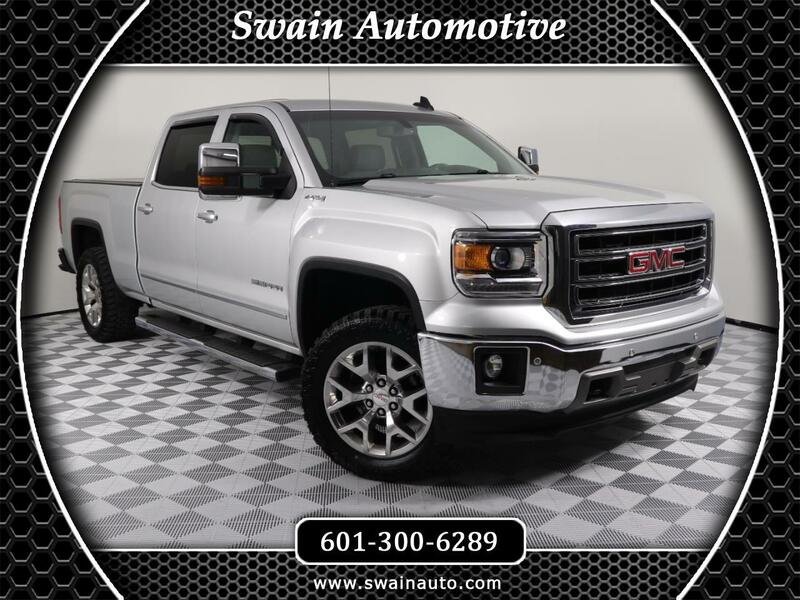 2015 GMC SIERRA 1500 4WD CREW CAB SLT 6.2L V8. THIS TRUCK IS LOADED WITH ALL THE GOODIES SUCH AS NAVIGATION, FULL POWER/HEATED & COOLED BUCKET SEATS, 20" CHROME WHEELS, CHROME PACKAGE, WIFI HOTSPOT, INTEGRATED TRAILER BRAKE CONTROLLER, CHROME ASSIST STEPS, BOSE SOUND SYSTEM, SPRAY IN BEDLINER, CHROME HEATED/ POWER ADJUSTABLE CAMPER MIRRORS, ULTRA SONIC FRONT AND REAR PARK ASSIST, MAX TRAILERING PACKAGE AND MUCH MORE. VERY NICE ONE OWNER/ CLEAN CARFAX.